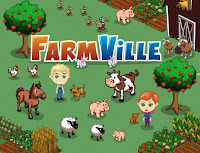 Are You A Farmville Beginner? Here’s 3 Killer Tips! Have your friends been begging you for months to become their neighbor on Farmville? Well it’s about time ! But before you jump straight in , there are some tips you need to know as a Farmville beginner. This info is essential to helping you level up apace in the game and gaining advantages over your new neighbors. You will level up quicker than your friends did and they will be quite jealous when you do. Maybe you’re already a hoarder, but if not now is the time to start . Keep everything you come across and don’t sell it or use it until you know what it does or what it is needed for. You will come across strange objects like butterflies, nails, and you may even get a cow as a gift. You may not want cows on your farm, but you will want them once you know how they can help you. You don’t have to display all these things in the open if you find them unsightly . There are ways to use trees to cover up goodies that will help you earn coins and ribbons. Stash everything aside until you have thoroughly investigated what the role or significance is behind it. Once you are positive it is something you don’t need, you can sell it to keep your gift box from over flowing. You can have up to 50 items in your gifts, so don’t worry until that number gets close. Don’t spend your Farmville cash dollars too quick . When you begin the game, you are given 5 FVC to start. Cash is not the same as coin. In fact, you will have a very tough time getting it without whipping out your wallet. You can only get these dollars for free by leveling up, or finding some in a purple mystery box. It is very hard to come by and can be used in the market to buy some really special things. You can only level up to 70, and with items that cost 50-60 Farmville cash, it can go in one fell swoop. Coin on the other hand is earned daily and can be found all over. If you want to spend right away, make sure they are coin purchases. Save your cash for a rainy day. In Facebook, feeds are shown on your friend’s walls . As they earn ribbons, find lost animals, finish collections, and even plow, they will post a lot of things to their wall through the Farmville application. You can click on links in their feeds and get fast coin, eggs that hatch things, and even XP or experience points. Experience points will help you to level up quickly in the game and get more coveted Farmville cash. Following the above, you can shoot up as many as five to ten levels in your first couple of days. Above all else , do remember to have fun. It doesn’t take long to become a pro from a Farmville beginner.